The tursi dining arm chair is finished in a beautiful almond patina colour. 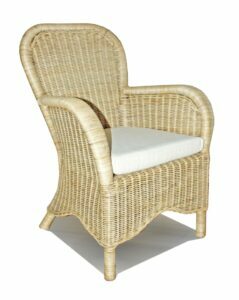 It's made with high quality rattan, to provide a strong structure, and the numerous cushioning options available help to maximise comfort. 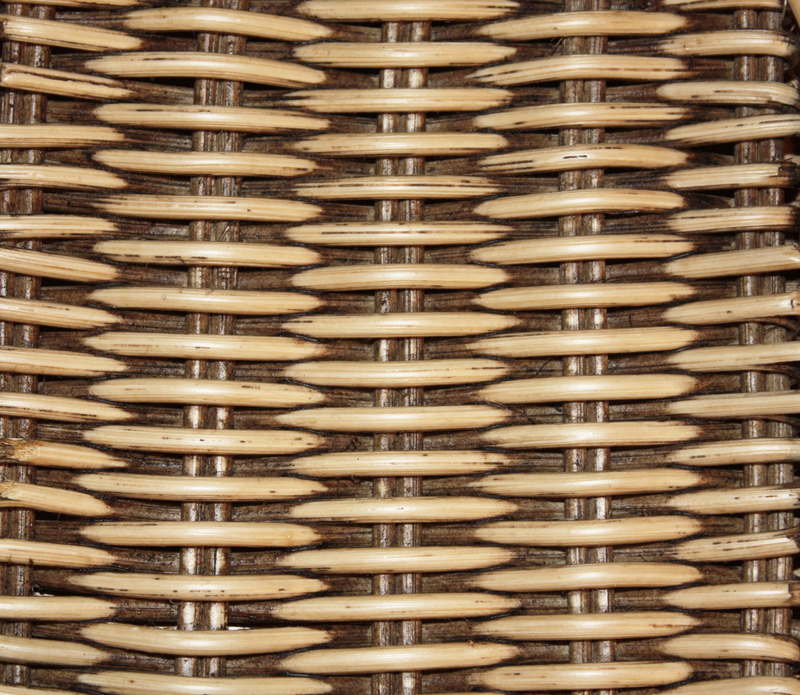 The classic woven design makes it perfect for a modern or traditionally styled home, and it goes well with our kubu grey or other almond patina tables. 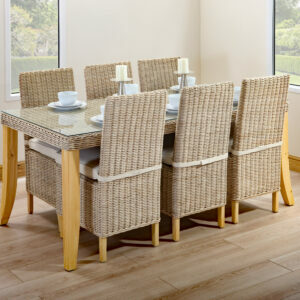 The penang dining table is perfect for a compact or intimate setting. 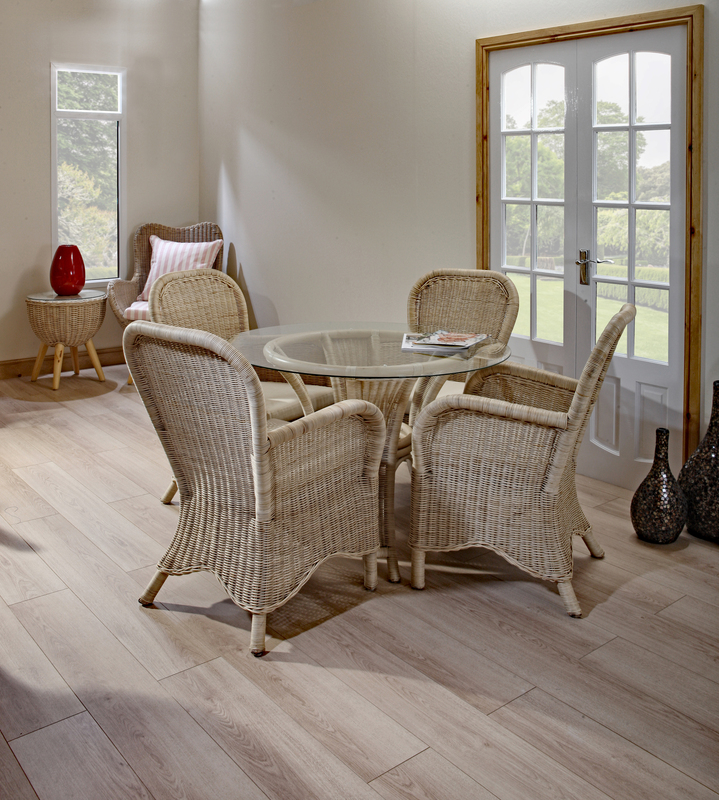 It's ideal for those who eat in the kitchen or living room and can act as a socialising space while food is prepared or cleared away. 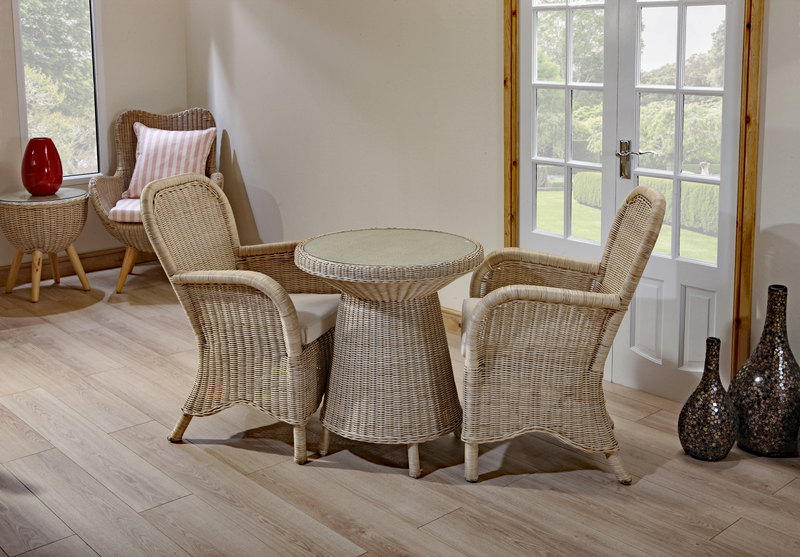 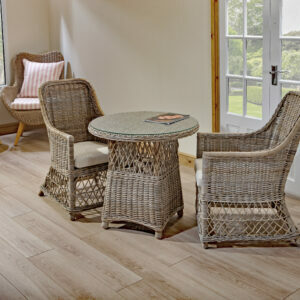 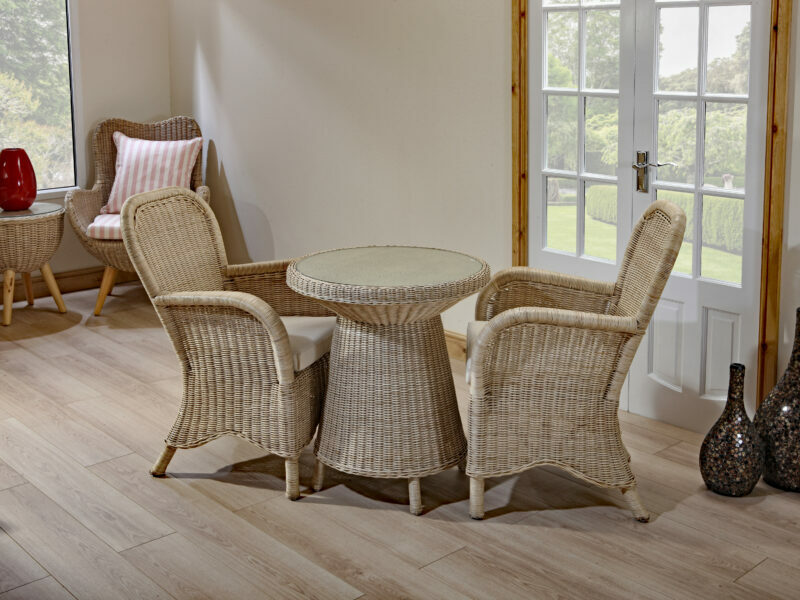 The traditional rattan design features curved legs and an almond patina finish, making it a stylish addition to modern or traditional homes. 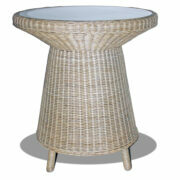 The floating glass top comes in two useful sizes. Our kokoon round table comes in an almond patina colour and is finished with a tempered glass top. 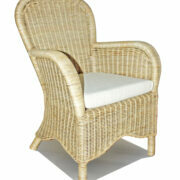 The small, compact design makes it perfect for any room in the house. 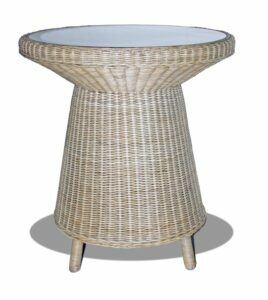 Rather than having a centrepiece table, a couple of these provide guests and family members with a place to leave their drinks and nibbles. 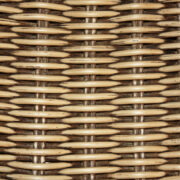 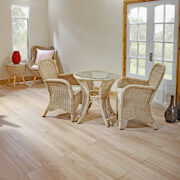 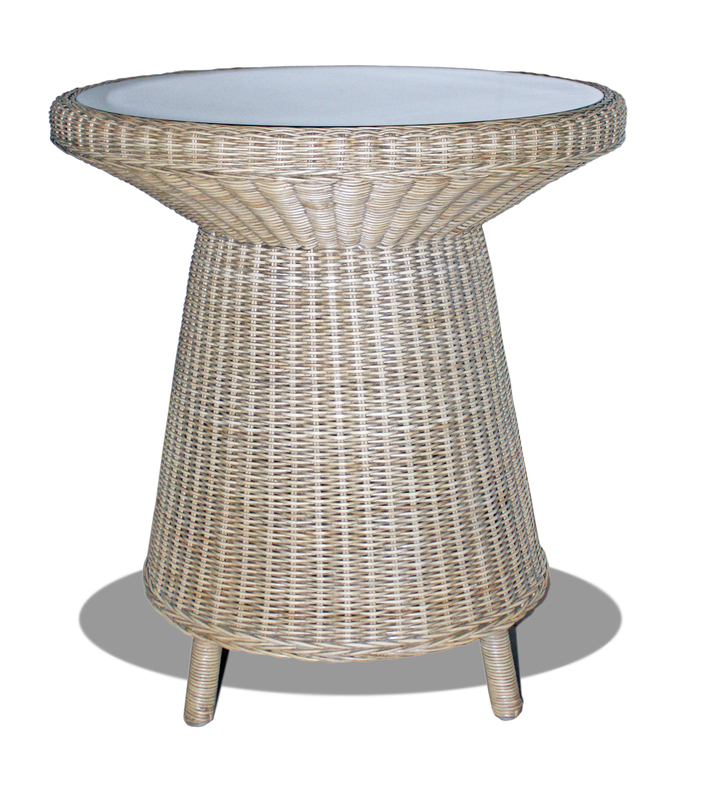 The woven rattan structure ensures that the table is durable and is easy to clean and maintain. 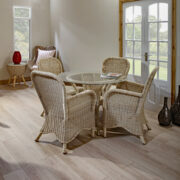 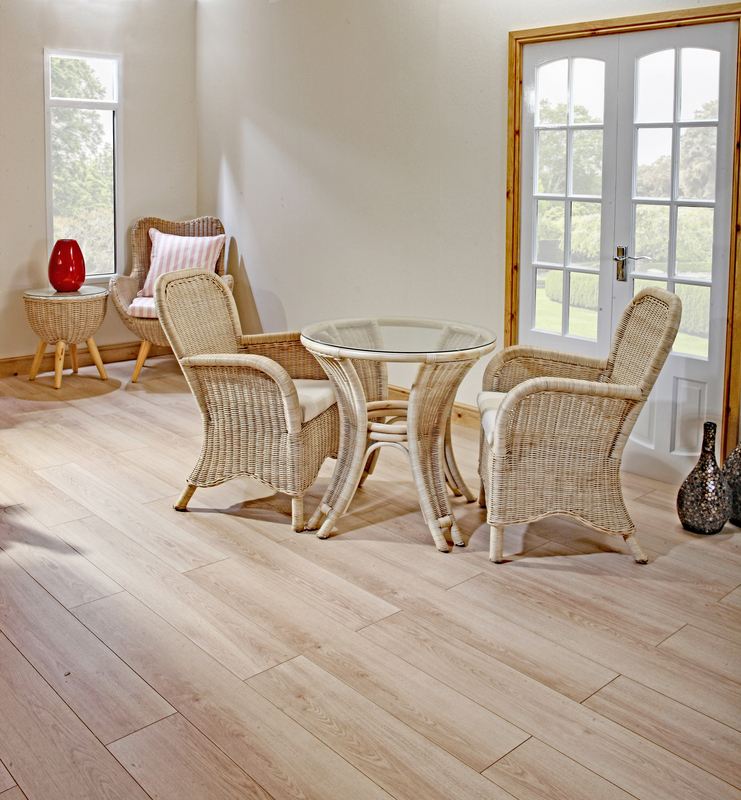 If you’re looking for the sit back and relax dining experience, then check out our tursi set. 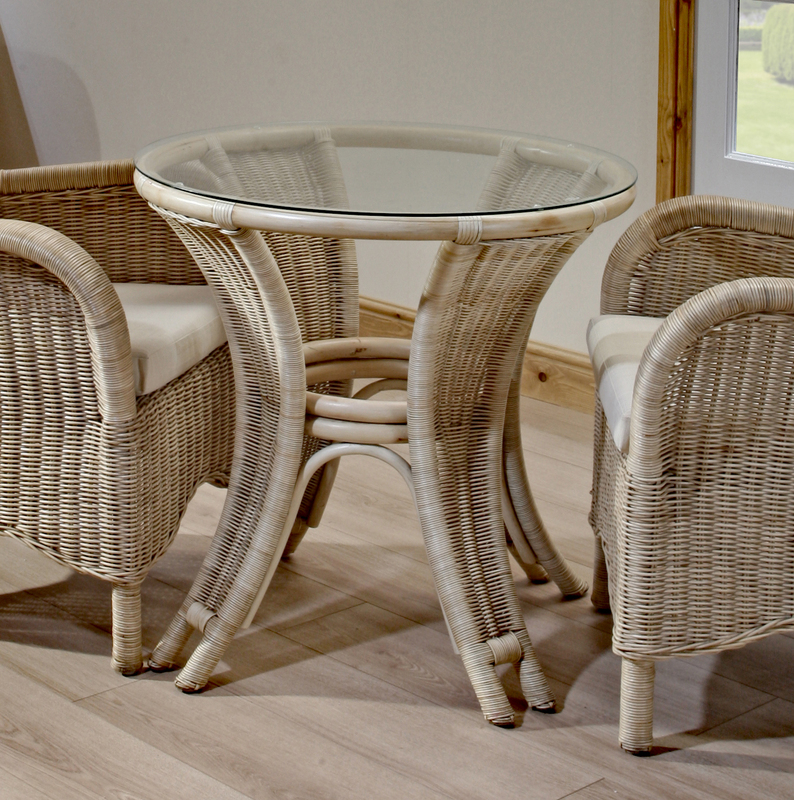 Consisting of the penang table, the tursi dining arm chair and the kokoon round table, this set is built with high quality woven rattan. Perfect for families of four or working professionals, you’ll be able to seat two to four guests around the tables. 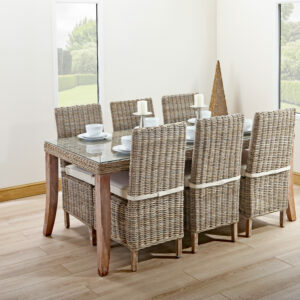 Not only does it work as a dining set, but you can use the individual pieces to provide comfort and style to any room of the house. 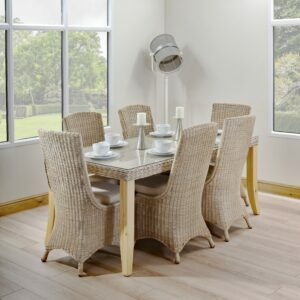 Choose between a range of fabrics and depths for the cushioning and you’ll have the most comfortable dining set that you’ve ever owned. 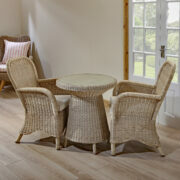 The whole set is finished in an almond patina colour.